Santron - RFMW UK, Ltd.
San-Tron connectors and cable assemblies offer a long heritage of product and new leading edge IP68 Connectors, e-series , SRX low PIM and Adapters. 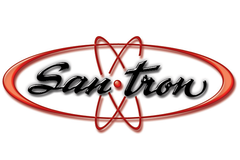 San-tron is a USA-based family business with our design centre, corporate offices, and lead manufacturing operation in Ipswich, Massachusetts, and a wholly-owned support facility in Suzhou, China. Building upon more than 50 years of history, supporting some of the biggest defense and commercial contractors. In addition to rethinking every angle of design, our facilities are constantly being updated. They include the most modern machining equipment as well as custom robots for our unique automated assembly needs. 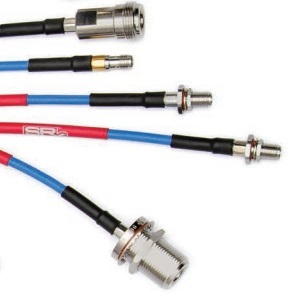 San-tron eSeries™ connectors are a new breed of coaxial connectors. They may look only subtly different, but their behavior is incredibly unique. Interfaces have evolved and materials have been perfectly matched to allow you to push your designs to new limits and lean on the connection to help. Externally, eSeries connectors have an extended ferrule designed to protect a common failure point at the solder-wick line when cables are flexed repeatedly. Internally, they offer an EZ-style, solderfree, captivated center contact and a solder-damming positive cable stop to assist cable assembly manufacturing personnel in consistently driving the cable into exact position. The result is flat and predictable broadband VSWR performance. 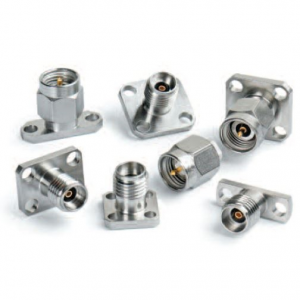 eSeries connectors are also weatherproof and provide 50 Ohm constant impedance. They’re designed to mate perfectly with flexible cable and are available in eSMA, Type N, 7/16, and TNC styles. Specially plated, ultra-low PIM models are also available. San-tron has launched a line of rugged Type N connectors capable of mode-free performance that will allow users and designers of high-frequency components, systems, and test equipment to extend the performance of their hardware. San-tron’s 18 GHz Type Ns utilize an innovative, internal design combined with PTFE dielectric material for outstanding electrical performance. 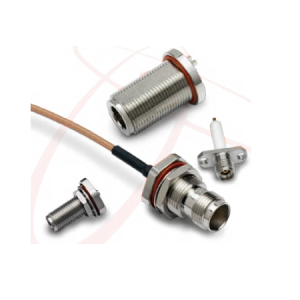 The 50 Ohm connectors feature less than -0.2 dB insertion loss from DC to 18 GHz with maximum VSWR of 1.30:1. All other mechanical and electrical characteristics are equal to our standard Type Ns. Low PIM 7/16 panel receptacle reaches -175 dBc intermodulation level. San-tron has announced the release of a new 7/16 panel receptacle that consistently delivers intermodulation levels of -175 dBc. This receptacle is especially suited for uplink communications. It ensures high-grade transmission by delivering VSWR San-tron is a well established source for within-series and between-series adapters to the RF and microwave industry. Whether it’s for a test application or in a production environment, San-tron has the solution for any application. For example, our in-series SMA adapters offer matched-phase length, supporting test-port “swapouts” for S21 (VSWR) measurements. We also offer a complete line of N to SMA adapters, the most common for OEM applications, and 7/16 to SMA adapters in several configurations. All adapter styles are available in straight for test applications, as well as 4-hole flange and bulkhead mounted styles for production applications. Call today for engineering assistance.